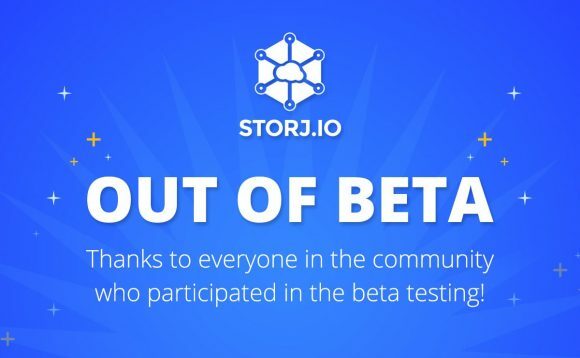 Storj, the decentralized blockchain-based and encrypted file storage system with its own crypto token, has released a new Storj Share GUI version 5.0 with new interface and protocol updates now that is is out of beta stage. The new updated interface makes it easier to control the storage you share on the platform as well as making it easier to monitor things. After running it for a couple of hours however we are still noticing the main issue that the service faces at the moment – lack of users that want to use it for file storage. Now that Storj is out of beta and is giving away 25GB free storage for the first 12 months there are still not enough users to take advantage from that offer. As a result users with unused free space are not that much encouraged to use the service, because they are not earning much and are unable to utilize their free storage resources. Something that is planned to happen soon that will hopefully generate more interest and move things further a bit is the upcoming Storj SJCX token sale that was recently announced. Storj has recently announced their plans to move away from the Bitcoin-powered Counterparty platform to the Ethereum platform. There are still a little over 16 days until the start of the crowdsale left, so if you are interested you might want to keep track of that as well. 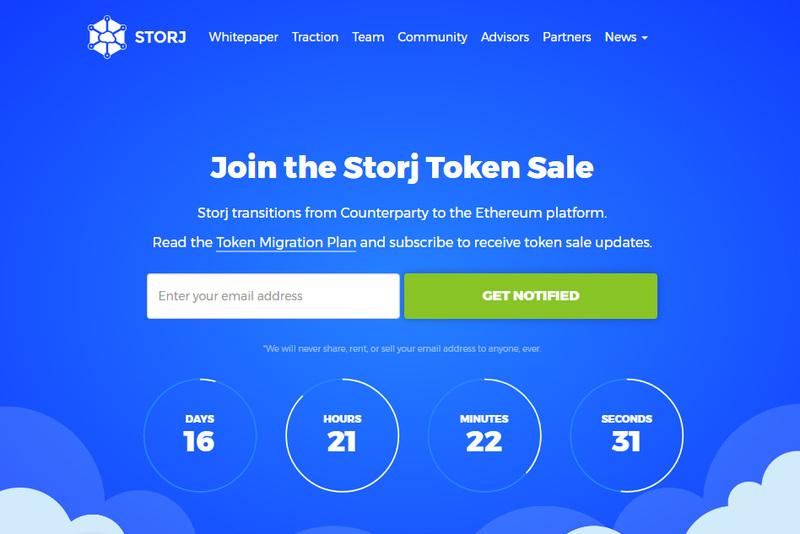 The blockchain-based distributed cloud storage service Storj has announced their plan to migrate from the SJCX from Counterparty (Bitcoin blockchain based) to the Ethereum ERC20 token standard. They have summarized the problems and reasons why they consider the switch to the Ethereum blockchain in order to be able to scale up the storage services that they are offering to a much larger number of users than what they currently have with the service just out of beta stage. Their summary is in line with mostly what is currently not Ok for many people using Bitcoin and the issues that need to be addressed in order for the future development and growth of Bitcoin, so do read the quote below. 1. The official Counterparty wallet software, Counterwallet, has had no major updates in over two years, and provides a confusing interface for new users. 2. Last year, multisig ceased functioning because Bitcoin made raw multisig transactions non-standard. Tokens in multisig wallets were rendered inaccessible. There is still no concrete migration path for multisig wallets without direct miner intervention. This makes us worried that other features will cease to function in the future. 3. Because Counterparty uses the Bitcoin blockchain for transactions, which is currently having issues with transaction backlog, our users have experienced extremely long transaction times (hours to days). 4. Because Counterparty transactions create small inputs and are heavier than normal BTC transactions, users have experienced extremely high fees for transactions. For the February farmer payout we paid over $1,600 in transaction fees, or about 13% of total payouts. This is not sustainable or scalable. 5. Our work on micropayment channels for Counterparty offers promising routes to addressing the problems above but is unlikely to be broadly useful. Micropayment networks require broad adoption to be effective and secure. It is unclear whether the Counterparty ecosystem can support a robust layer 2 network. 6. The Counterparty ecosystem is small. Very few other organizations are using it at scale. To create our micropayment tools, we’ve had to fund large upgrades to the Counterparty protocol. It’s not sustainable to finance protocol upgrades while also developing our network and products. 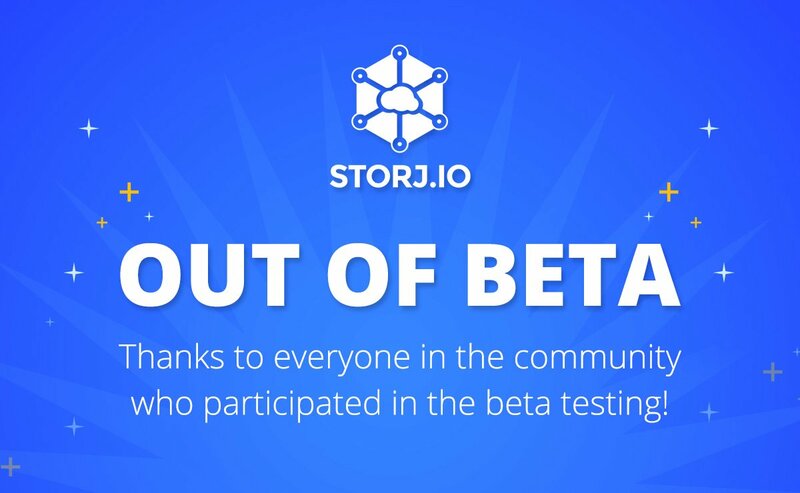 Just about a week ago we have covered our 1 month long test of Storj while the service was still in beta and now they have announced that the Beta stage is over already. Storj, a Blockchain-based encrypted cloud storage service, allows users to get cheaper and reliable storage as compared to traditional storage solutions out there and also allows users with free space to rent it and get some extra income for the data being stored on their computers. It is an interesting concept and Storj is not the only service that is exploring the capabilities of the blockchain for that kind of usage as well as the use of a crypto token. Since not that much has changed in the last week when we last used the service you can check the previous post linked above with some of our freedback and experience. The main concern we have at the moment is regarding the ease of use for users wiling to store their data on the Storj network… it just isn’t as easy as you’d normally expect. That, combined with the fact that Storj is offering 25GB of space and 25GB of traffic monthly for 12 months is making it harder for users that have some free space on their hard drives that want to make it usable and earn something back for renting it to Storj. Of course the service needs to attract users and their initial free offer sure does seem interesting in getting users to give it a try, but then again they also need to work on making it easier to store and access the data on the network. If you pass the free space and traffic that you get when you sign up you will be charged at $0.015 USD for extra GB / month and $0.05 USD per GB of traffic, though the free 25GB should be enough for many users. After the initial 12 months promotional period you will need to pay for the storage space and bandwidth you will be using and unfortunately even though Storj has their own crypto token, you are not able to use any SCJX coins to pay for storage currently… you can only earn these tokens if you rent your hard drive space. So this is something that also needs more work in order to close the ecosystem and this is apparently something that is already planned in the future.